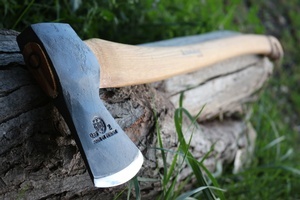 Part of the Classic range of axes from Hults Bruks, this is the 2LB Woods Axe. Handforged high carbon Swedish steel, 56-58HRC, superb all purpose head, great for a variety of cutting tasks. 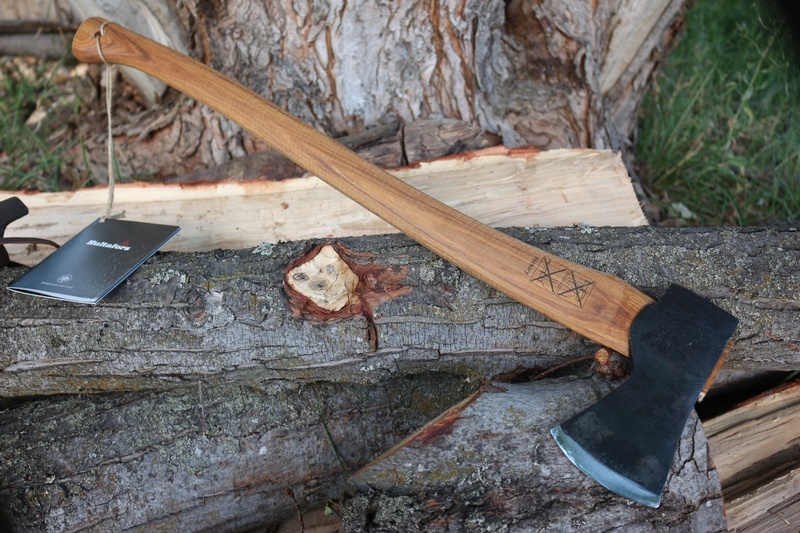 Heartwood or Heartwood/sapwood Hickory handle is 26in and the axe comes with a leather head cover. Excellent all purpose axe, made in Sweden. OAL 26 in, Head 2LB. High Carbon Steel, hand forged. 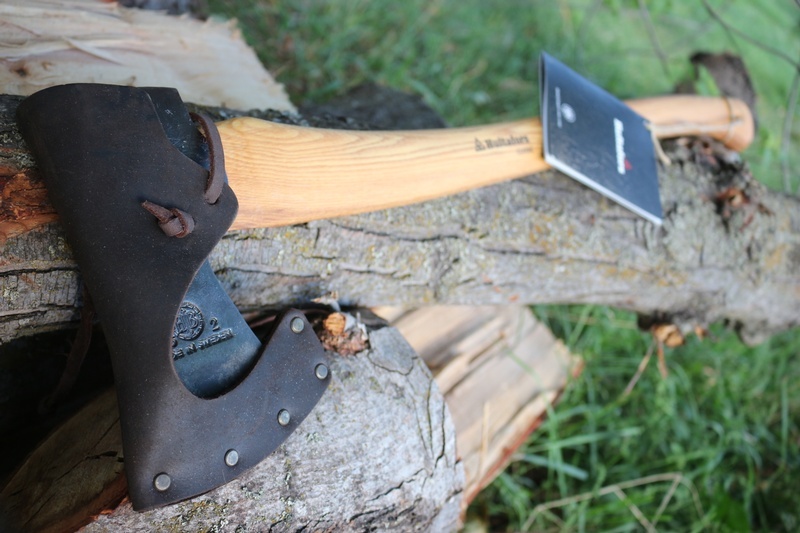 Purchase through PayPal by using the "Add To Cart" button above or use the form below to order the Hultafors Premium Classic 2lb Woods Axe . 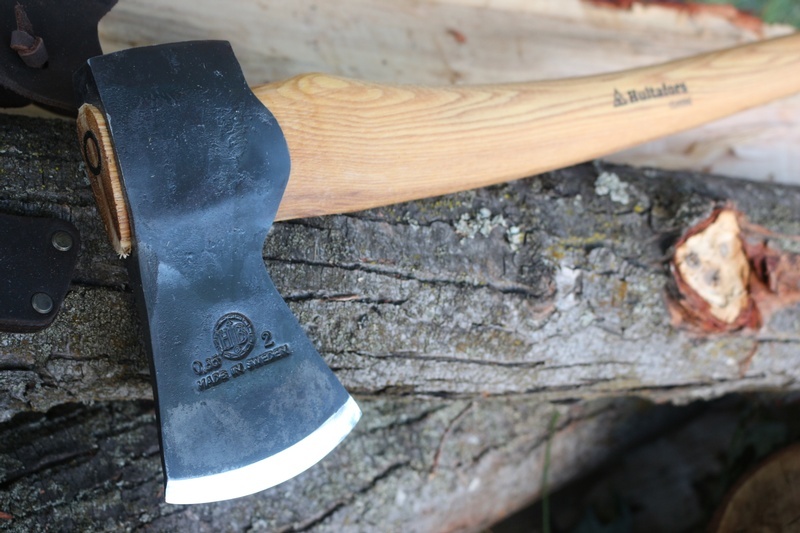 Feel free to contact us if you have any questions about the Hultafors Premium Classic 2lb Woods Axe .